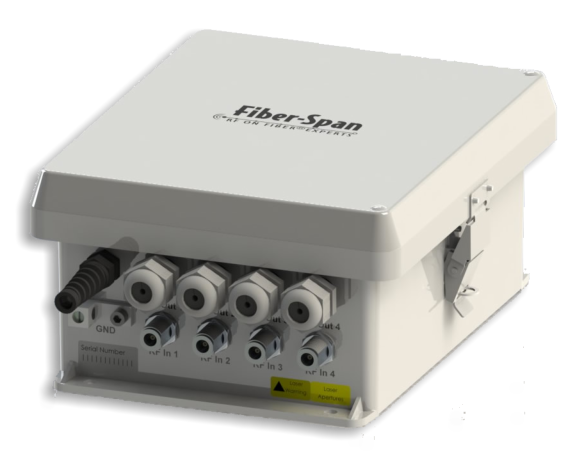 Fiber-Span’s Quad GPS over Fiber link is an efficient way to transport GPS signals between antennas and cellular base stations. This product is used to replace long coaxial runs to avoid signal loss. The ideal applications are tall buildings and locations where running coaxial cable is impractical. The transmitter unit is comprised of up to four independent RF-to-Optical signal paths, enabling remote connectivity for up to four separate GPS channels. A hot-standby redundant power supply and comprehensive alarm detection and reporting capability help ensure high system availability. The receiver unit is housed in a 19-inch 1RU rack-mount enclosure. It contains up to four independent Optical-to-RF signal paths, supporting independent end-to-end connectivity for each of the four GPS channels. This product has been approved by VZW. For more information please contact cs@daspedia.com or visit Fiber-Span web page. DAS Vendors can request their products to be added to DASpedia porftolio page. Please contact DASpedia’s editor at editor@daspedia.com for more information. Sign up for our monthly newsletters and marketing announcements.